Meet Regina Sharpe. She has full-blown anxiety, but she’s not alone. More than forty million adults in the United States suffer from anxiety disorders, and women are twice as likely as men to be riddled with unfettered anxiety. Author and illustrator Bethany Straker has had personal experience dealing with anxiety, and wanted to adopt a humorous approach at addressing our common fears. 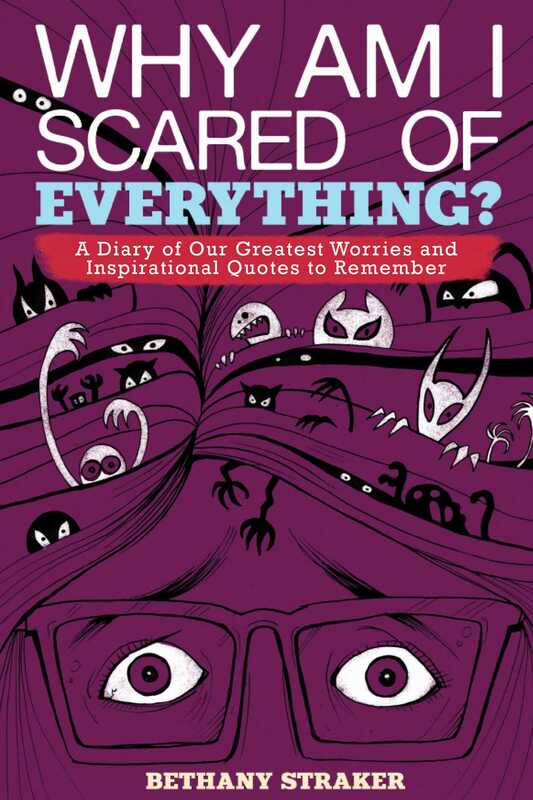 With witty illustrations and inspirational quotes on each spread to help any anxiety sufferer get through the tough times, Why Am I Scared of Everything? promises to make the reader laugh at his or her own worries while feeling as if they aren’t alone in their fears. Book Cover Image (jpg): Why Am I Scared of Everything?